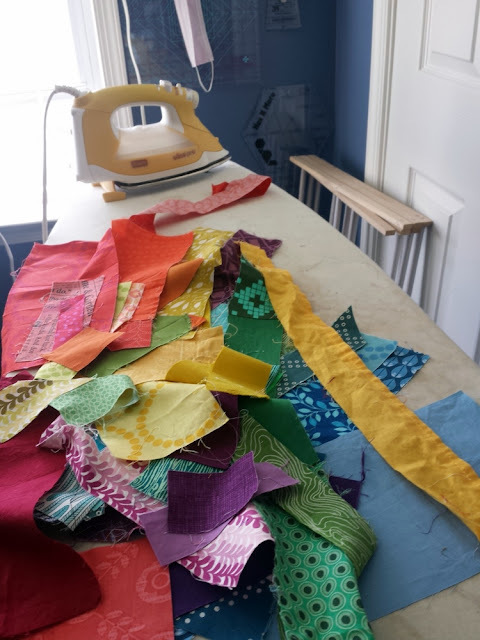 I'm in the throes of recovery from a 4-day quilting retreat, and while it's all fresh in my mind (and everything hurts - I can't believe I did so much walking! ), it seems like an excellent time to write a blog post. This was the 3rd annual Mid-Atlantic MOD quilting retreat, a meeting of 5 Modern Quilt Guilds near Lancaster, Pa + friends. One of the best parts is being able to meet up with friends from other guilds every year and sew with them. Then, there's the inevitable making of new friends. What could be better? I count my lucky stars that this kind of event exists, all thanks to superstar organizers Jessica Levitt @jtlevitt of our guild (Central Jersey) and Andrew Joslyn @andrewjoslyn of Philadelphia. 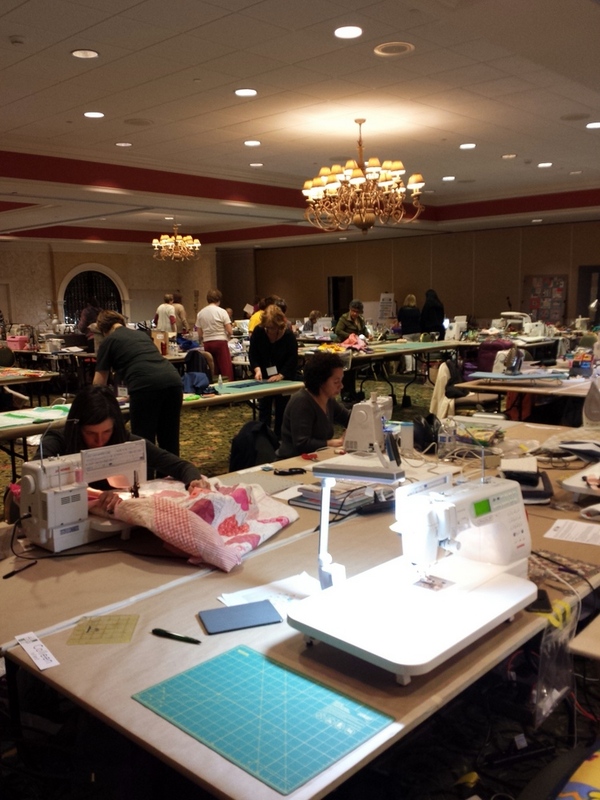 This retreat is specifically focused on your sewing time. The sewing room is open for 4 days, and you can come and go as you please. There are optional classes to sign up for, and lots of optional activities (including massages), but you don't *have* to do any of them. 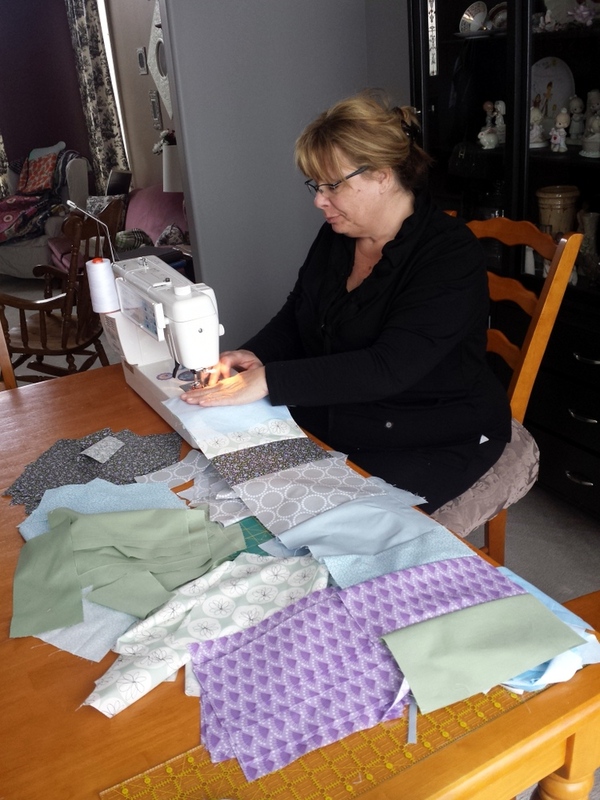 You can sit there and sew if you want to. I love a choice! 1. 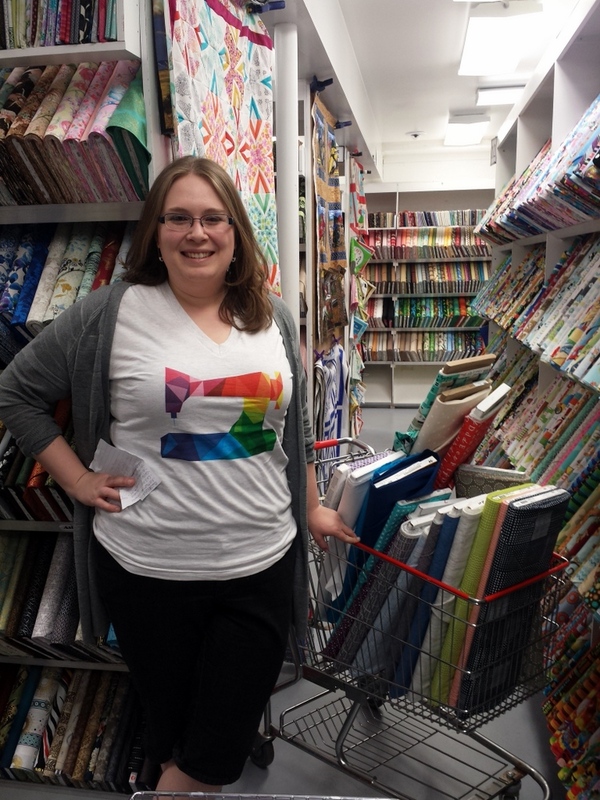 Exploring 2 local fabric shops (Burkholders and Old Country Store) and seeking out Lancaster Central Market with my roommate and friend Liz @beadqueene. I'll be sharing more on Sunday for Sunday Stash! And yes, I'm holding a shopping list - Burkholders is the real deal, and they sponsored a discount for our retreat again (thank you!). 2. 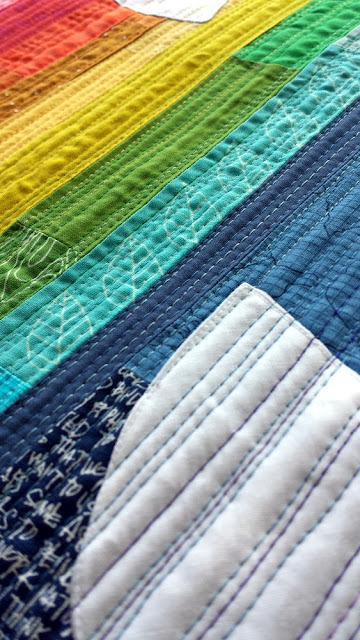 The rainbow mini quilt swap, which was White Elephant style. It's satisfying to watch it all happen since I've been planning it for months. 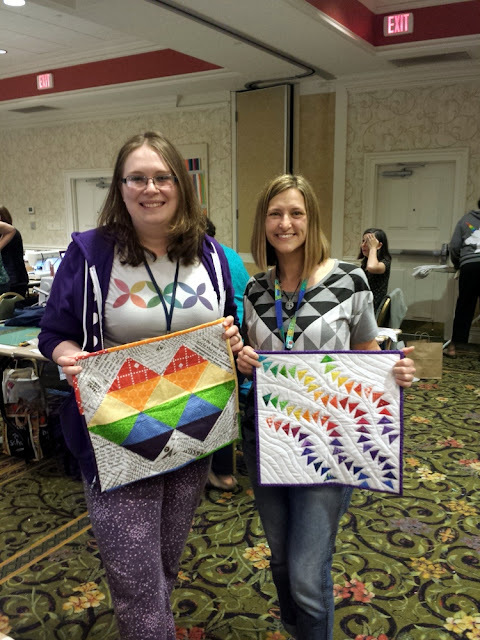 I won my friend Nicole's (@1choice4quilting) amazing quilt! It's so rewarding to have a piece of her in my sewing room (now I just have to find a space to hang it up!). Check out this amazingness - 35 talented quilters and the quilts they won! 3. 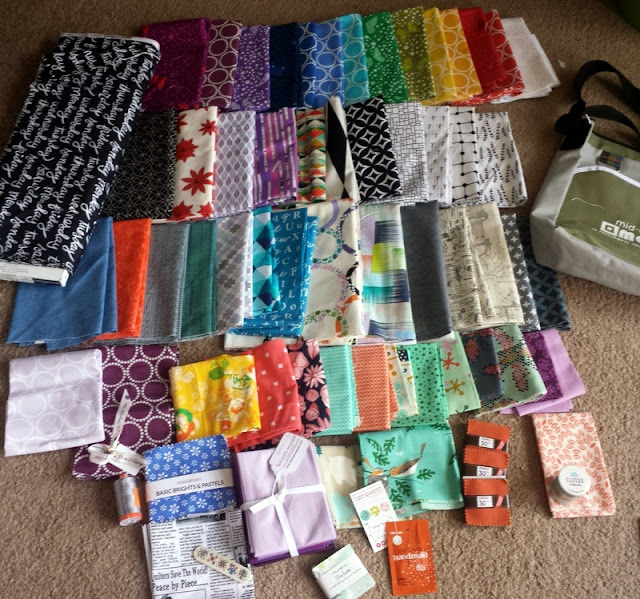 The second year of the Secret Sewist Swap. Swappers left a gift or gifts on Friday, Saturday, and Sunday of the retreat, only revealing their identity on the last way. When we organize it, we always pair up members of different guilds. 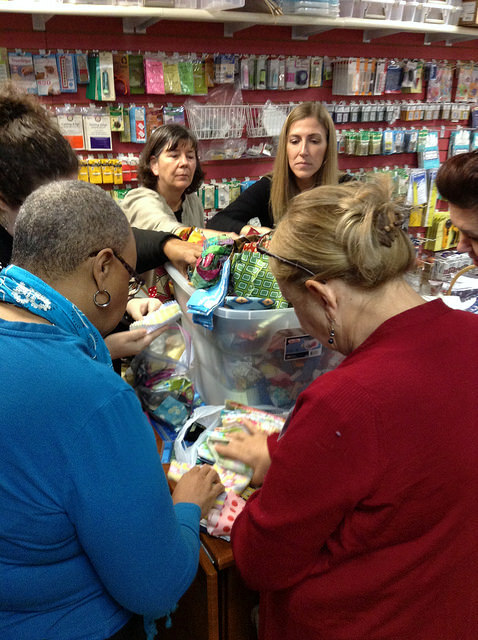 There were 40 swappers this time around, and it was a huge success! It's exciting to see all of the gifts on tables and to guess who made them. "Take Wing" - playing with a flying geese variation for my partner. I devised this pattern to be a mini quilt, but it came out more like a banner. I guess I can't help but go big or go home. For my partner, Elizabeth @andpins, I made three handmade projects and included lots of goodies, such as notions she requested, tailor's chalk for her impending garment making, and "good" dark chocolate. 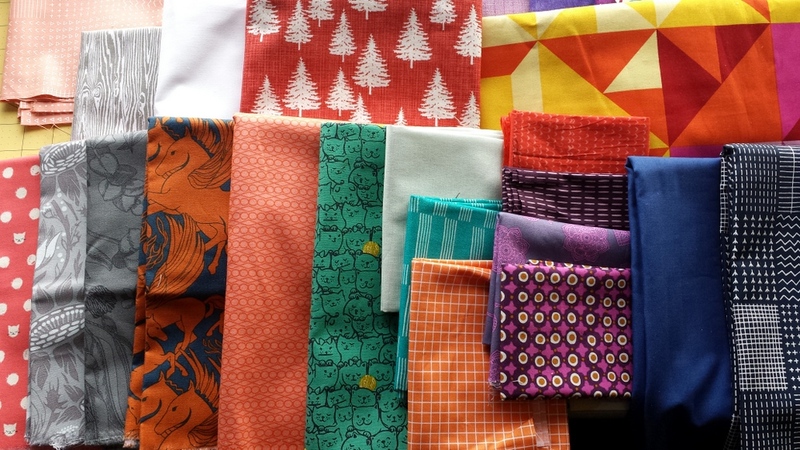 I stole an idea from another partner last year and wrapped everything in fat quarters and half yards of fabric. 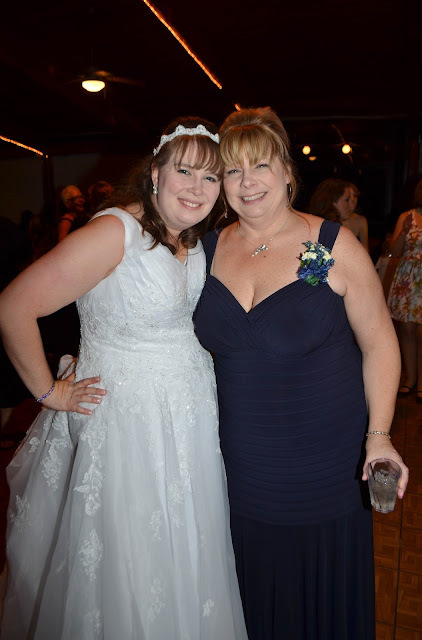 It was so much fun and I'm happy to say that she loves everything! 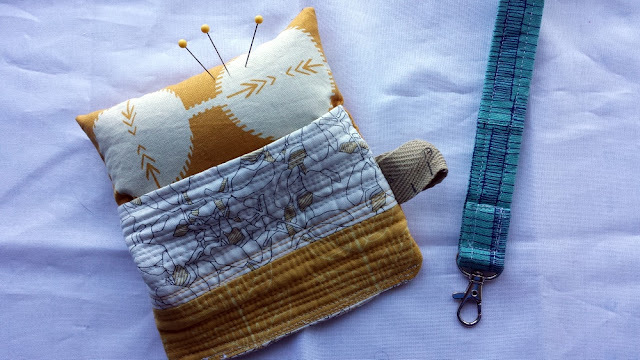 Based on Elizabeth's color preferences, I made this pincushion from the book Sew Organized for the Busy Girl by Heidi Staples @fabricmutt. The lanyard is made of Carolyn Friedlander fabric, which we share a love for. My secret sewist was Shannon @shannonatsilverforge, who is from the Jersey Shore MQG. 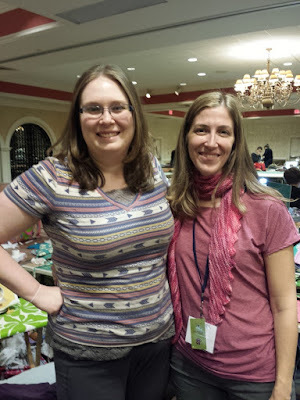 I was lucky enough to get to know Shannon when she joined in our guild retreat last November. She left gifts at my sewing machine all day for four days (even when I was only gone for 15 minutes!) - I knew it had to be someone who was sitting somewhat close by. 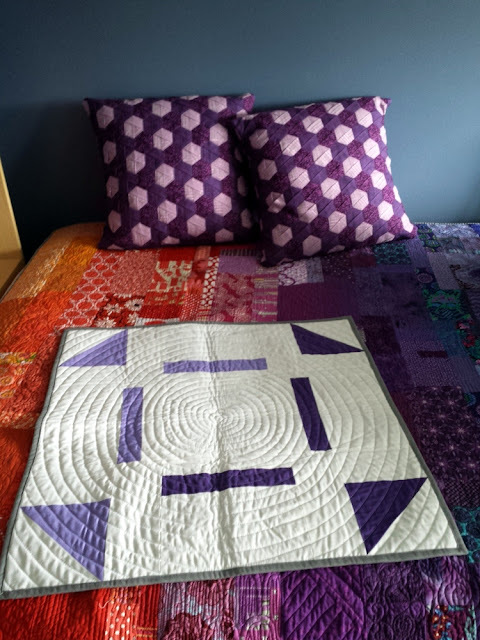 The pillows in the above picture were my big gift on the last day - they are her signature fabric woven style using all purple and Loominous fabrics. I am absolutely thrilled, and don't they look great on the bed in my sewing room? 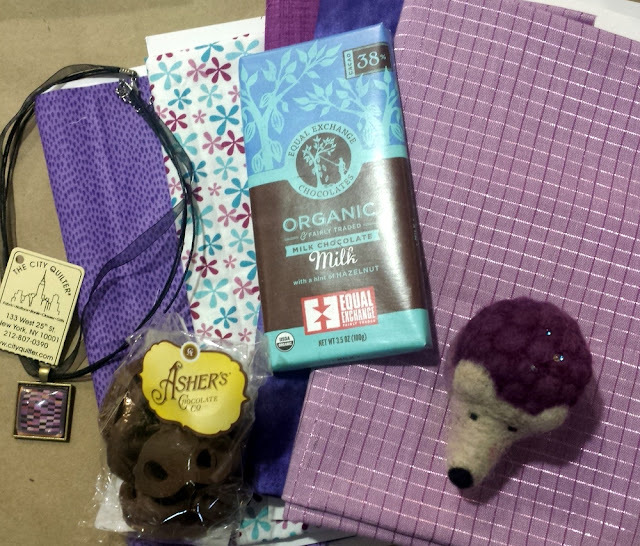 Below are just *some* of the other gifts she left me. Thank you, thank you, Shannon, for making my weekend! 4. 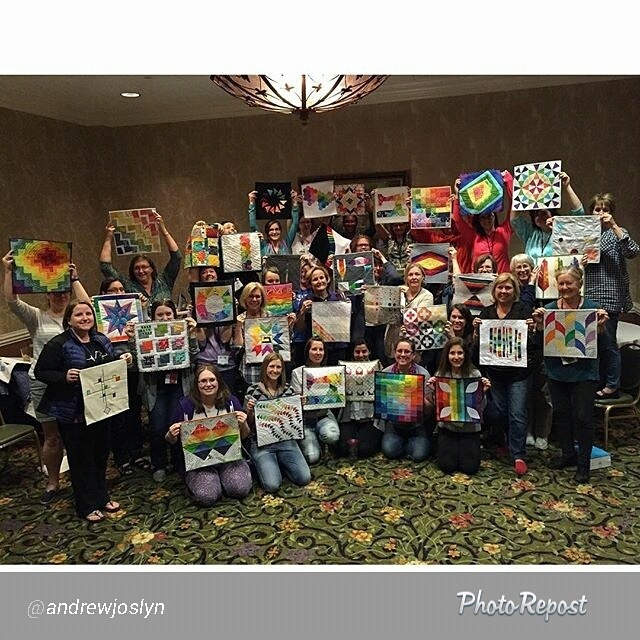 I taught a class on Wonky Crosses to several lovely attendees. They were enthusiastic and shared their wealth of knowledge with me as well. I can't wait to see what they make! 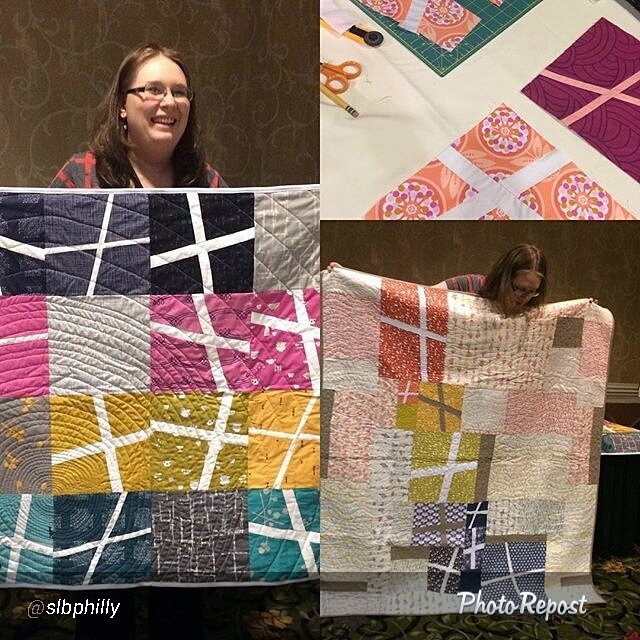 Thanks to Sarah Bond @slbphilly for this picture collage. 5. 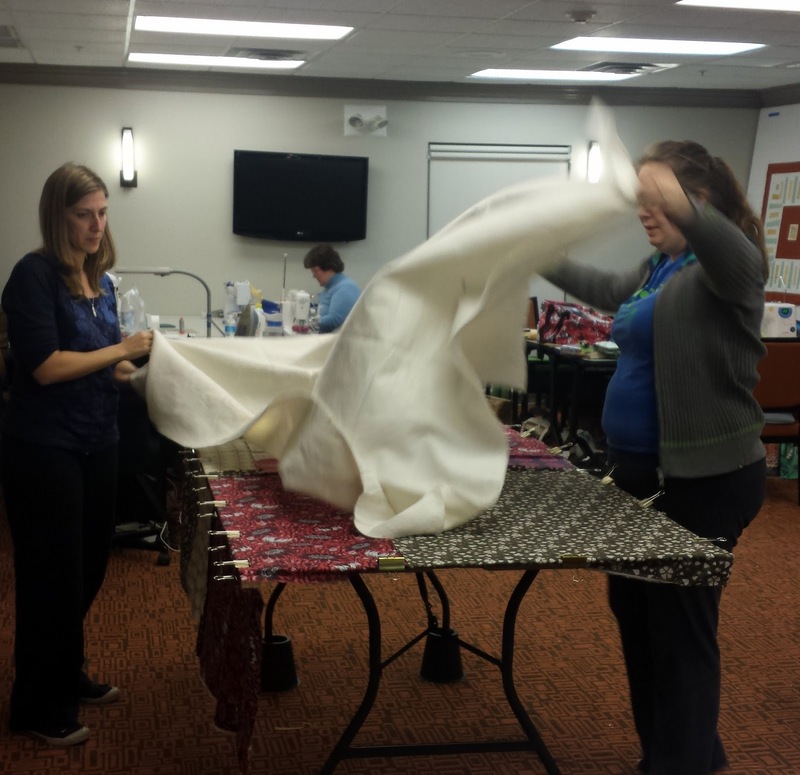 Making the progressive quilts. 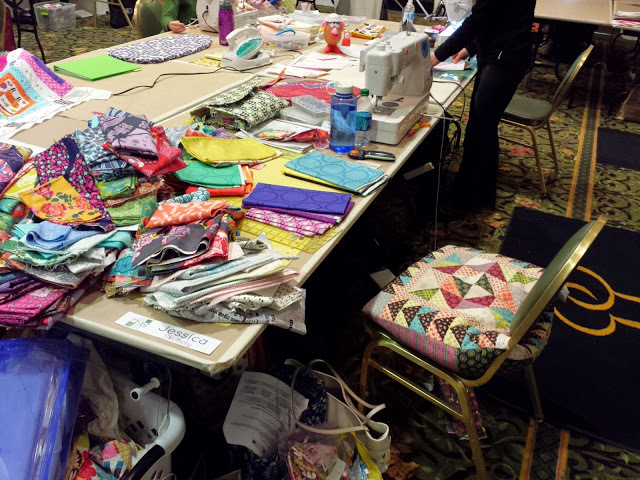 Every year,groups of quilters work on three quilts for the whole weekend, and this year's were nothing short of amazing. 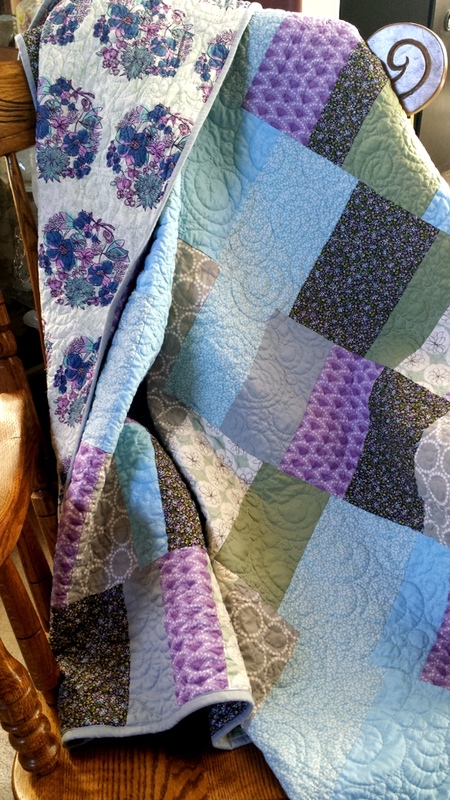 All three quilt tops were finished on Sunday, when they were raffled off to one of the makers. I worked on two, but my favorite was this quilt that I popped into when a spot opened up. As you may know already, I LOVE improvisation, so putting together a quilt like this is my cup of tea. Hello amazing! 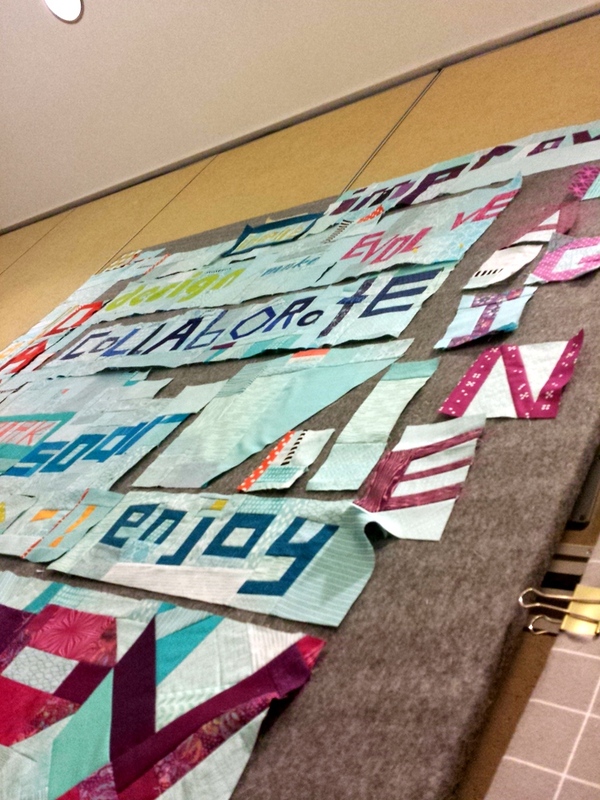 It's the Creative Writing/Verb quilt. 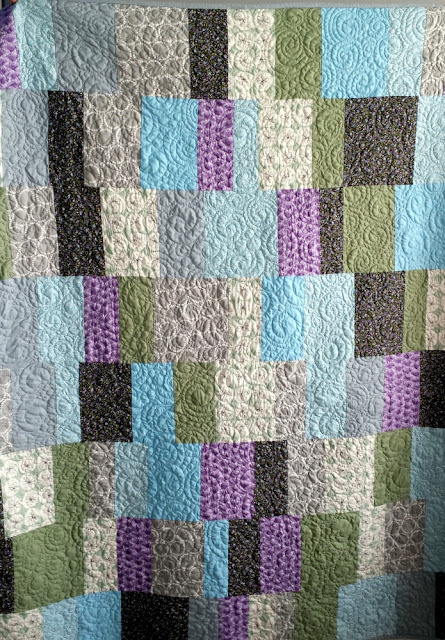 Yes, we decided "improv" is a quilting verb, so that's what I made (in purple, of course). 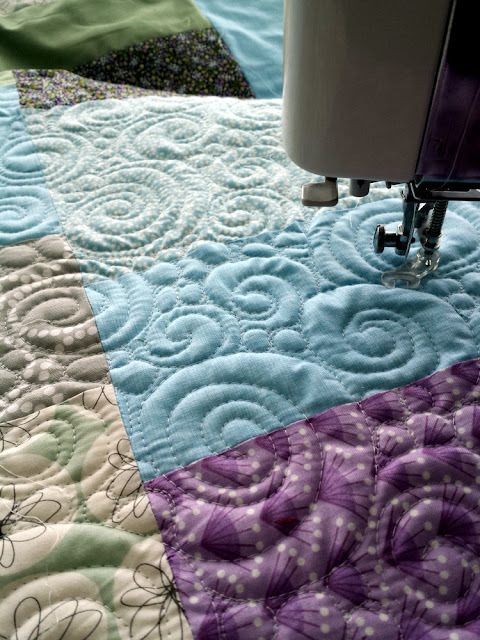 Dia won it, and I can't wait to see how it gets quilted! 6. Massive amounts of swag from generous sponsors. I was lucky enough to win the Hex N More and Northern Lights pattern from Jaybird Quilts, and a large rotary cutter from Olfa! I actually really needed a new one - the one I bought when I started quilting 6 years ago has seen its days (I won't get rid of it, but I'll keep it as a backup). Here was our swag bag. Thank you so much to all of the sponsors, who are listed here! That's a wrap! Here's Jess and I on the last day. Tired but fulfilled. Phew. I don't know if I have more posts in me this week, so if not, make sure to catch the next issue of The Wonky Press on Sunday, May 1 in your inbox! Linking up to Fabric Tuesday, Needle and Thread Thursday, and Crazy Mom Quilts. I mentioned in the latest issue of The Wonky Press that I've been mentally packing for the third annual Mid-Atlantic MOD Quilting Retreat for at least three weeks. In fact, I have a running list going in my Quilter's Planner! I've gone to 6 sewing retreats in the last 3 years, and I have a system now. I thought I'd share my Top 10 Most Important Items To Bring (obviously, your sewing machine, handwork, projects, clothes and toiletries are important, but I mean the other stuff you might not think of until you are there!). 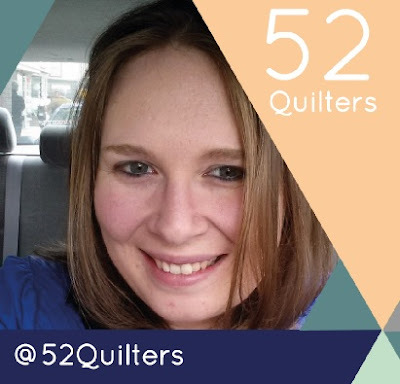 Feel free to share with your guild and quilty friends! 1. Layers. Maybe it's just me, but I ALWAYS pack layers. 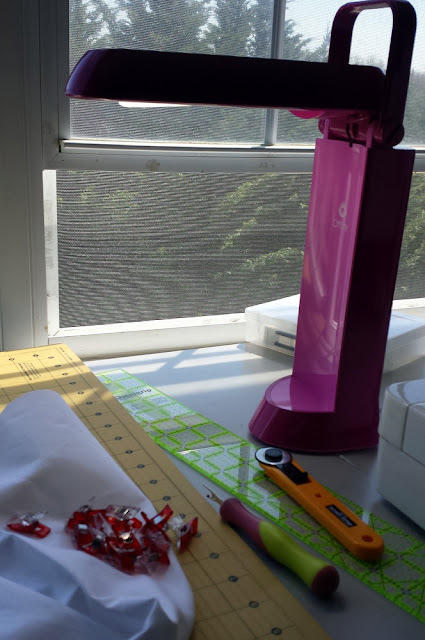 You never know what the temperature will be in the room you're sewing in. Included here would also be slippers or fuzzy socks (to sew in - you're not going to wear sneakers or flip flops the whole time, are you? Well maybe you are - just make sure you'll be comfortable!) and a nice pair of jeans in case you leave the sewing room to be a real person and eat dinner out. 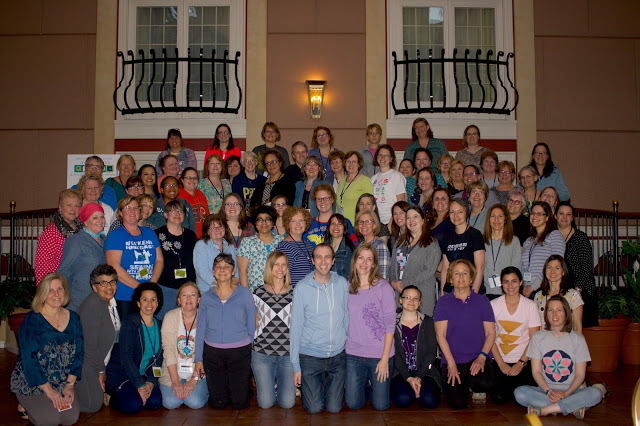 I was definitely wearing fuzzy socks here (this is from our annual November guild retreat in 2014). Yes, they get dirty, but that's what washing machines are for! 3. Portable light. Until recently, I never realized how valuable this is. 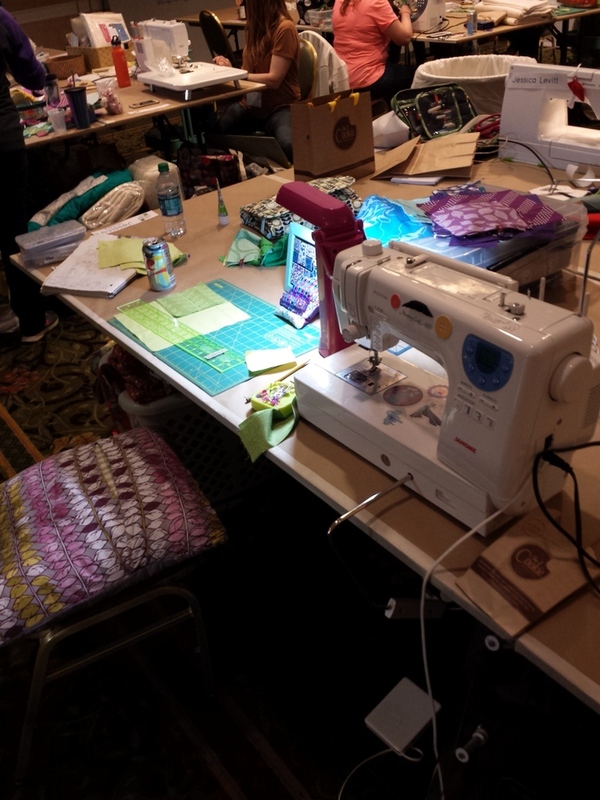 The room you sew in may not have the best light (it might not even have windows - gasp! - I love sewing in natural light). Plus, you'll be sewing late into the night, right? You need something like my super light and portable desk OttLite (13w Folding Task Lamp - not an affiliate link, just love it!) or tiny sewing machine lights. Trust me. It's obviously daytime in this picture, but the light really helps, especially at night! 4. Chair cushion. The last two times I attended a 4-day sewing retreat, you would not believe how many times I thanked the sewing gods that I packed a cushion. It's likely that you won't have the most comfortable chair to sew in (I've never been to an actual retreat center but I would hope theirs are a bit better!). Plus, you could sew up a cover for it. My retreat setup from 2014 - with a very comfy cushion! Cover by Life's Rich Pattern. 5. Cash. You're gonna need it, even if you are retreating 10 minutes from home. Ordering out with a group of other retreaters? Need cash. Calculating tip with several others at a restaurant? Need cash. 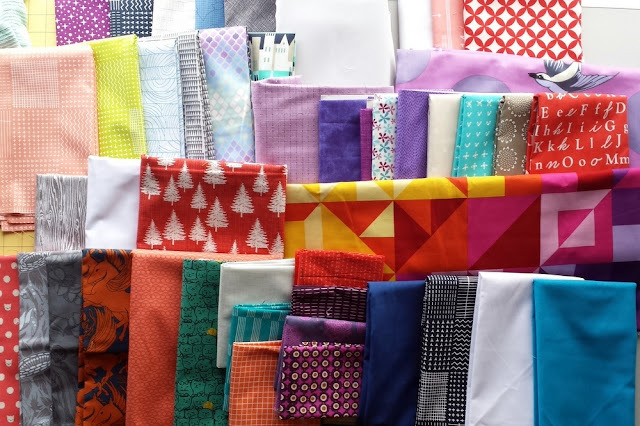 See that cute bundle of fabric from a vendor that you need to buy? Need cash (maybe). Retreat organizers hire massage therapists for the day? Need cash (I'm excited to say that this happens at our retreat and I can't wait!). Last year's 4-day retreat fabric haul... I'm aiming to come home with less this year. I'm happy to see that I've used a lot of it over the year, though! 6. Mindless sewing. 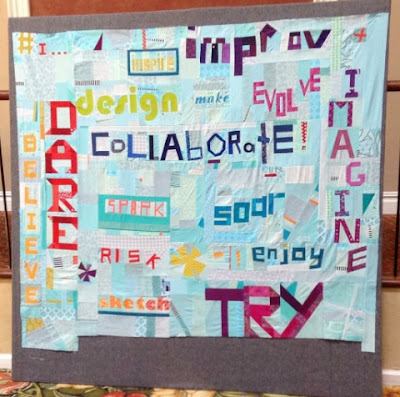 I'm a big believer in bringing several projects to a retreat - after all, you're there to get. stuff. done. You might also be there to socialize though (like me!). 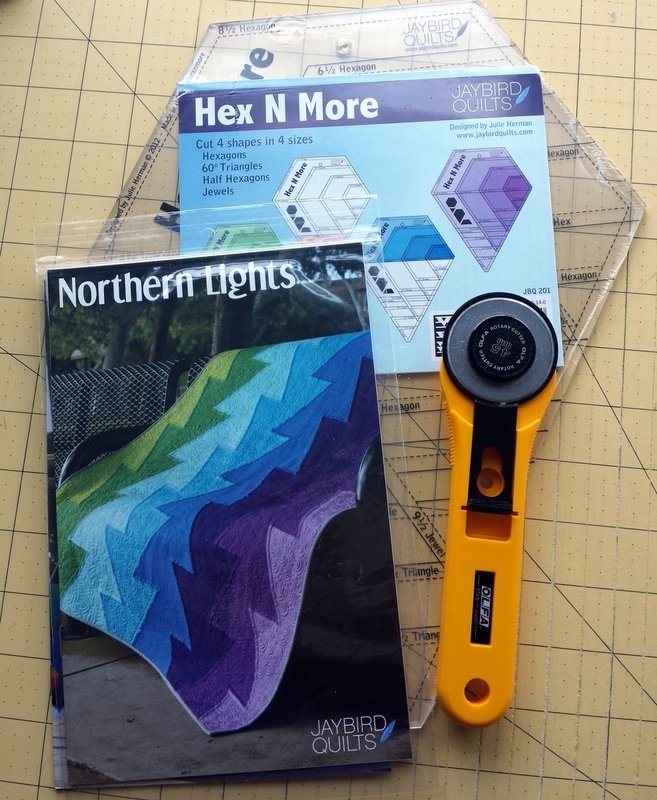 If you have mindless sewing (sewing that is already marked, easy cutting without lots of math, pressing, making binding, sewing on binding, sewing together hexagons) you'll be able to do more of both! 7. Scraps. A good segue. If you have scraps that you don't want, bring them to trade with someone. Maybe all the participants can bring scraps and throw them into a bin, which you can use for finding new scraps or making challenge or charity projects. 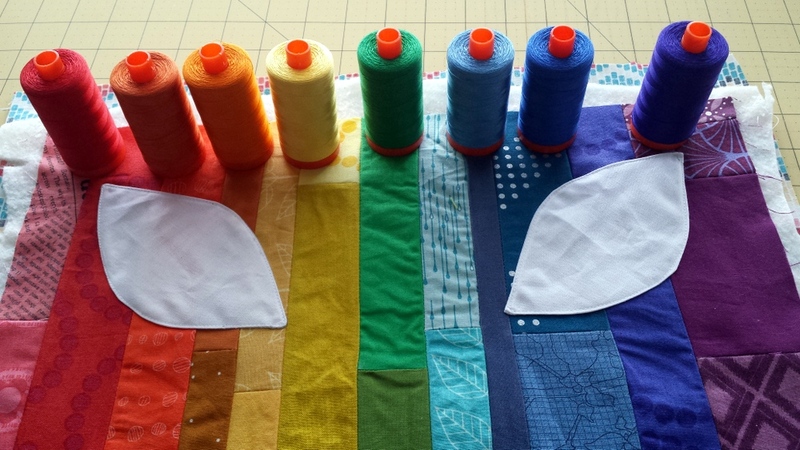 OR, you could bring your favorite scraps and improvisationally sew something together. 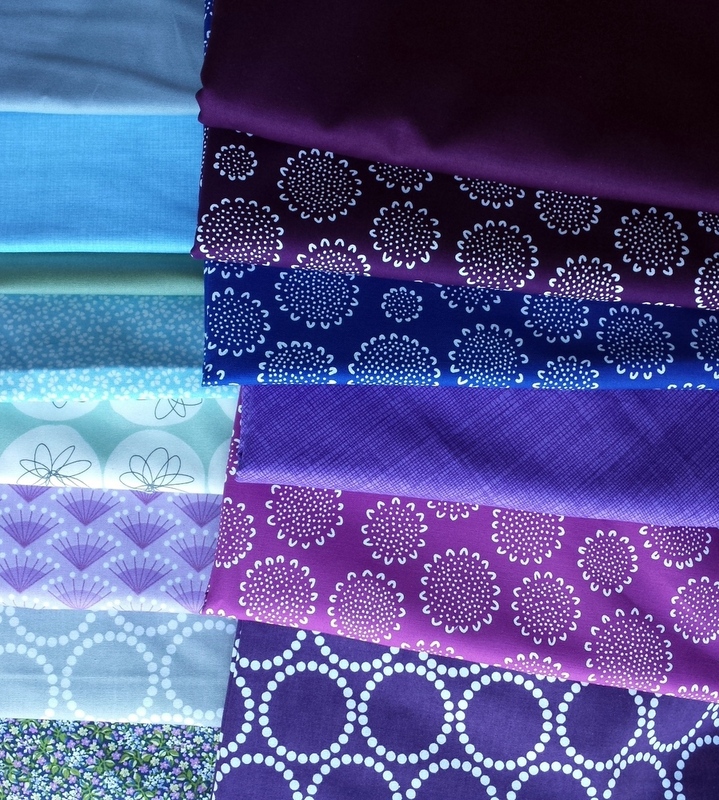 See, more mindless sewing. Lots of options here. 8. An extra project. Remember I mentioned multiple projects? Yep, you're going to want that extra one at some point in the weekend. 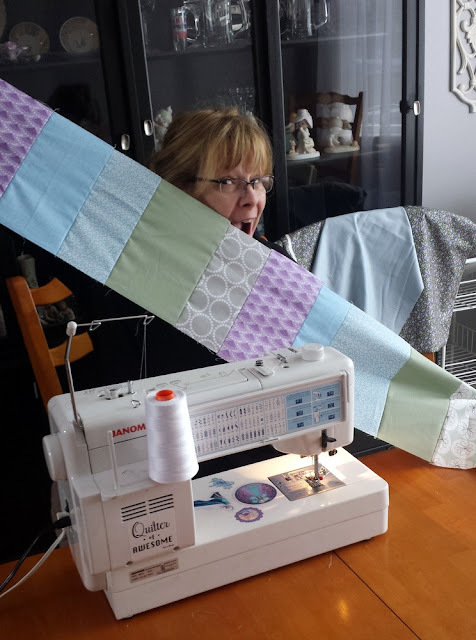 You go through different moods when you are sewing, so this is important. 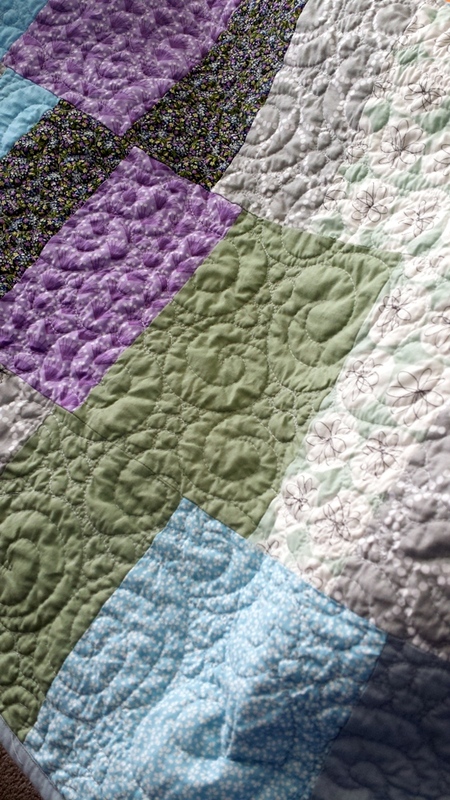 Maybe you want to stay up for *one more hour* but can't quilt any longer - bring some pressing to do. 9. 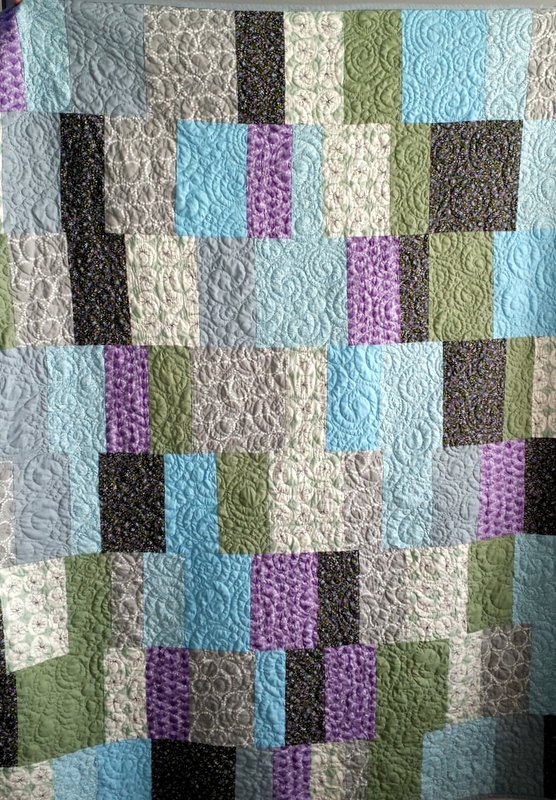 A quilt to sleep with. Why not? It might feel more like home. 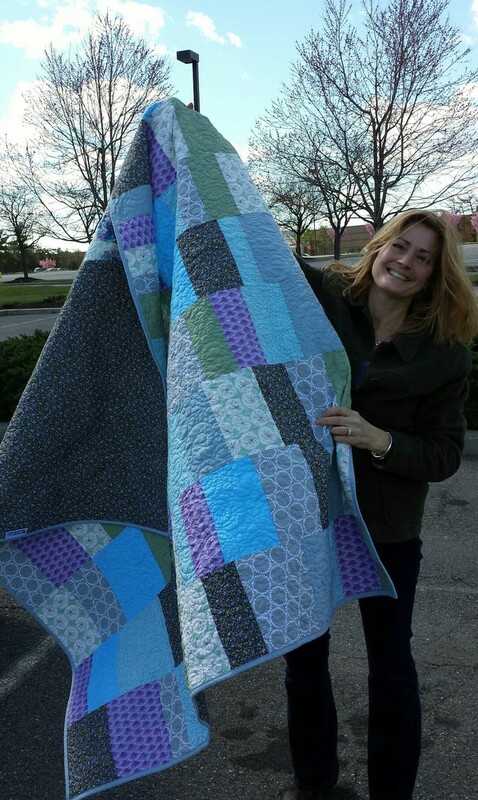 I love traveling with a quilt! 10. Lint roller. We all know what we look like after hours of sewing - thread EVERYWHERE. In case, again, you decide to be a real person and leave the sewing room, you'll be happy you packed this. 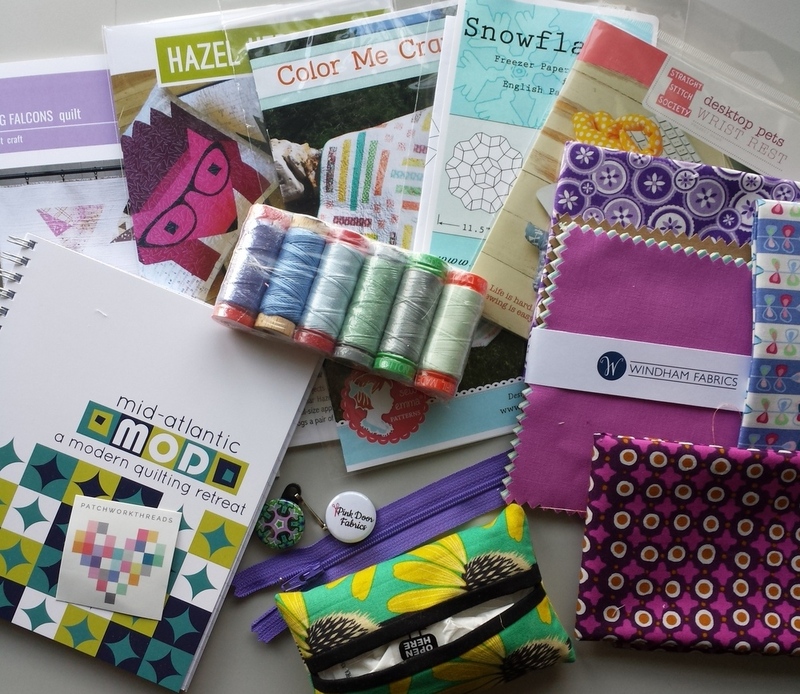 What other extras would you make sure to bring to a retreat or sewing day? 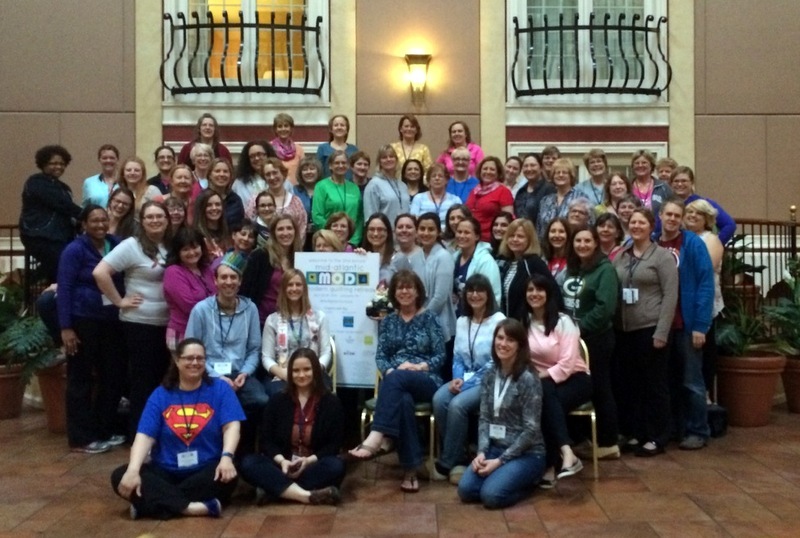 P.S.If you'd like to read more about retreats, see my recaps of Mid-Atlantic Mod from 2014 and 2015. 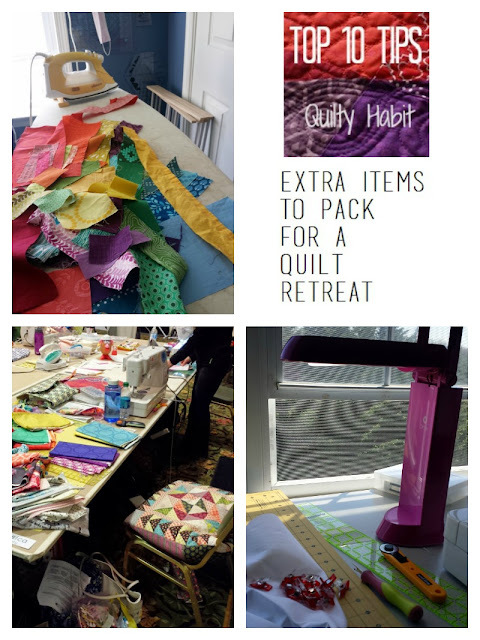 Also, check out Anna's post, "Packing for A Quilt Retreat in 5 Easy Steps!" 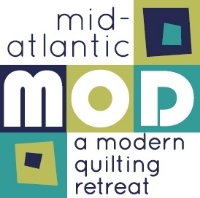 Next week is the third annual Mid-Atlantic MOD Quilting Retreat in Lancaster, PA. 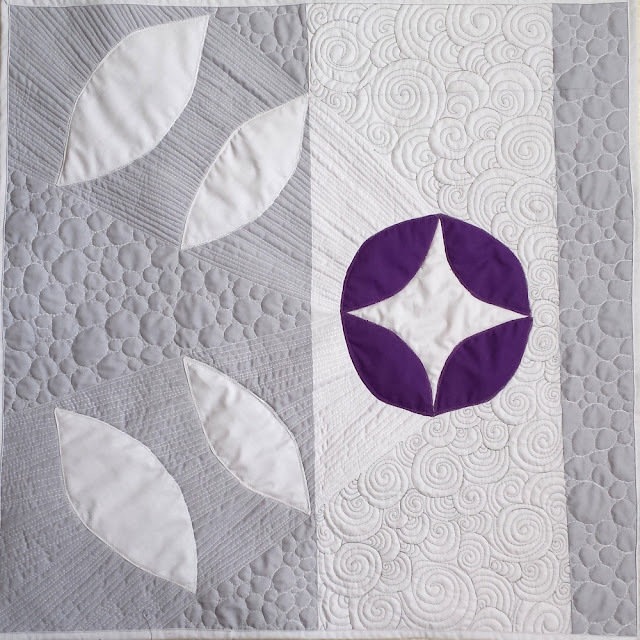 The Central Jersey Modern Quilt Guild, Philly MQG, North Jersey MQG, Baltimore MQG, DC MQG, and local quilty friends will be sewing together for 4 days. I am so psyched! 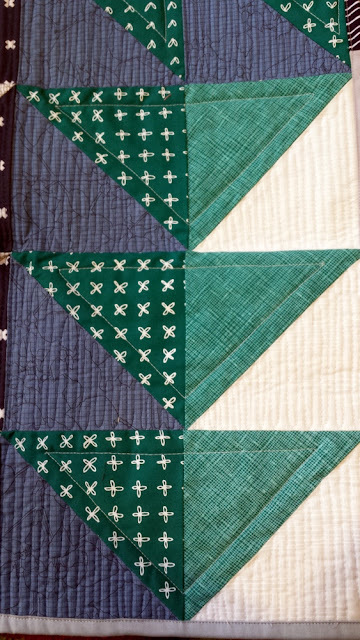 So, in MOD's honor, here's part 2 of Quilting in GIFs: Quilt Retreat edition (see Part 1 here). 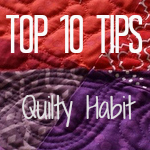 It applies to anyone who is looking forward to or recovering from a quilt retreat. Alternately, maybe it will convince you to sign up for one. 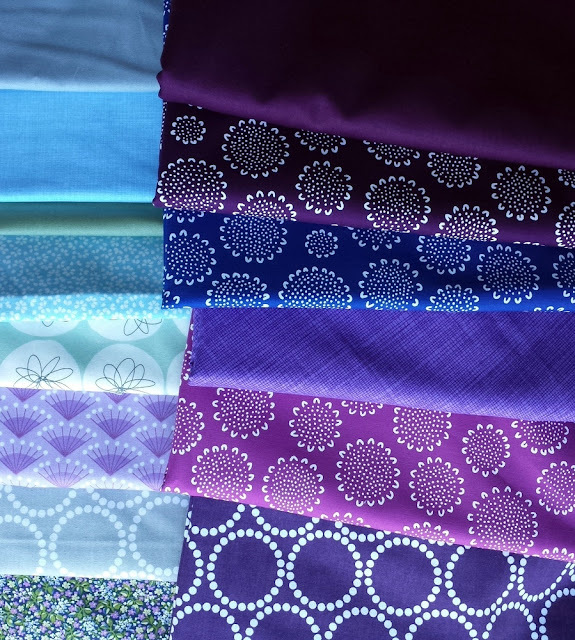 :) Feel free to share with your sewing friends!